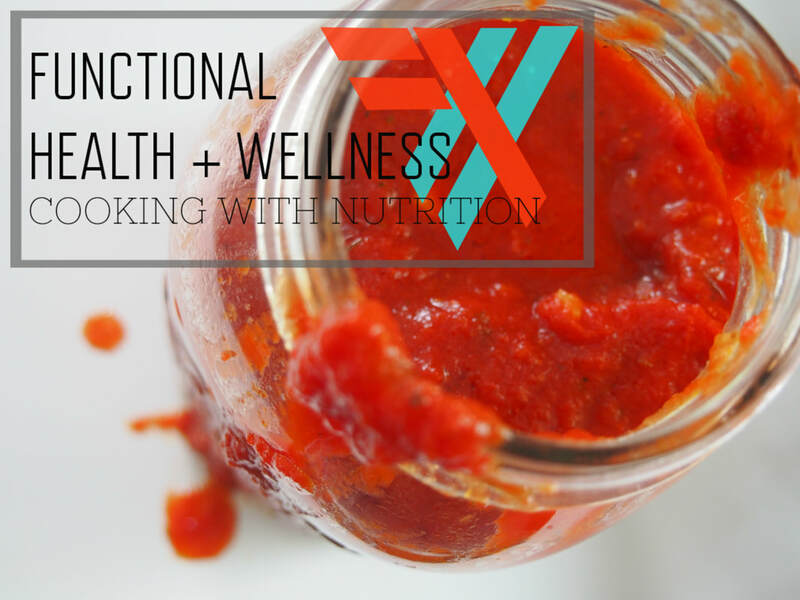 try this simple raw salsa- this is Beau's favorite condiment in the world. 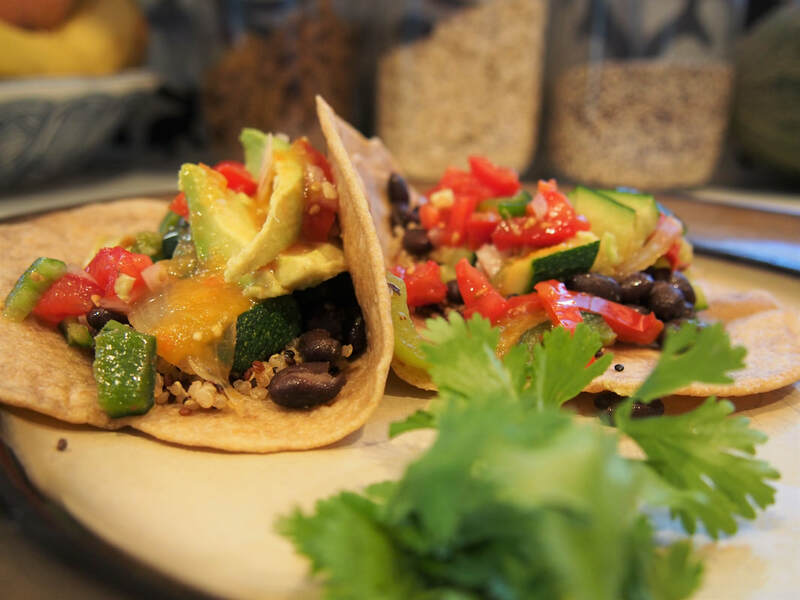 We throw it on salad for some bright, hot flavor - throw it on a taco (great with our plant based tacos- or a fish taco) - throw it on top of your brown rice and chicken bowls! throw it on top of an egg! Throw it on top of your avocado sprouted grain toast! This salsa is easy to make, and a great way get some added nutrition and bold, bright flavor. 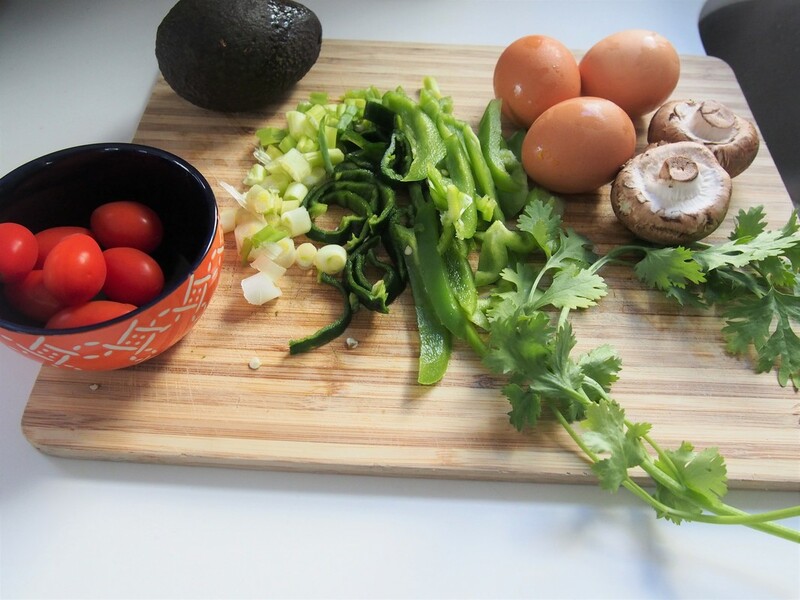 combine all ingredients in a large bowl- stir together and enjoy on anything! 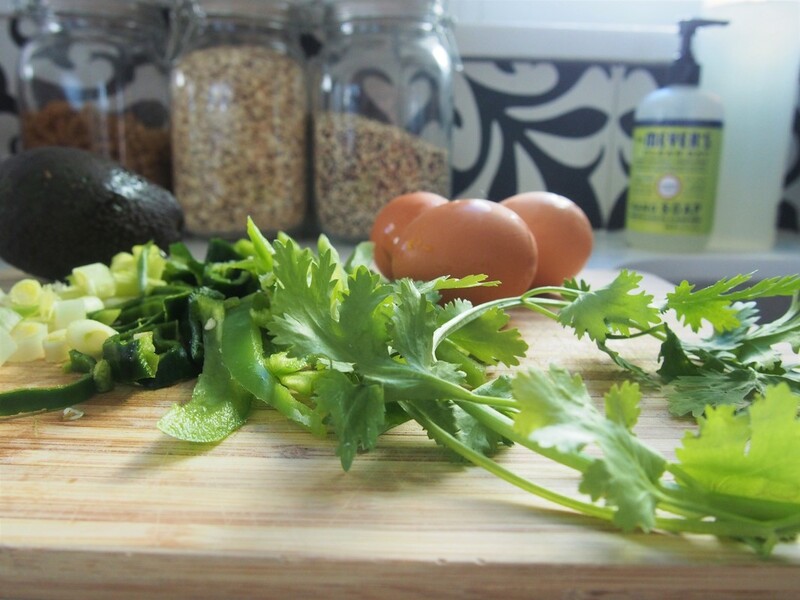 Remember healthy eating starts in the kitchen- happy cooking! combine all seasonings and cheese in milk, and then toss cauliflower florets in a large bowl fully covering in seasonings and liquid. remove and place of lifted rack on baking sheet. bake at 400 degrees for 15-20 minutes until golden browned on the outside and lightly cooked inside. did you know? tomatoes are full of a cancer preventing phyto-NUTRIENT called lycopene) all the more reason to bring on all the marinara sauce :) mmm! SAUTE fresh garlic in olive oil, browning- not burning. (stir pretty continuously) have the cans of tomatoes open and ready before you start to brown garlic. once garlic begins to brown add in the 2 cans of crushed tomatoes. add in all dried herbs and other ingredients (except fresh basil). Simmer on low heat for 40 minutes to 2 hours. add in fresh basil 20 minutes before enjoying. taste and add in a little more salt if needed. enjoy on literally anything- we love a great organic whole wheat pasta, or quinoa, or plate of veggies or on top of some homemade turkey meatballs! mmm. happy holidays! cheers to REAL good, real food. 2.With the mixer running, gradually add the warm water and continue mixing until the dough is smooth, about 3 minutes. 3.Take out the dough and divide it into 12 equal sized pieces. I do this by making the dough into a big log shape that is about 8 – 10 inches long. Then I cut it in the middle. Then I cut each of those pieces in the middle and so on until you have 12 pieces. 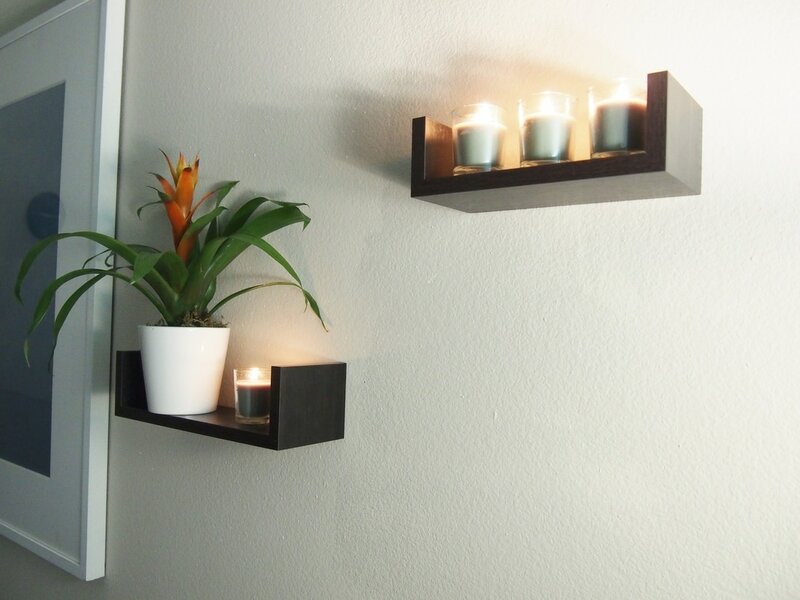 4.Using the palms of your hand roll each piece into a round ball and flatten it out on a baking tray or board. Cover with plastic wrap and let rest at room temperature for at least 15 minutes or up to one hour. 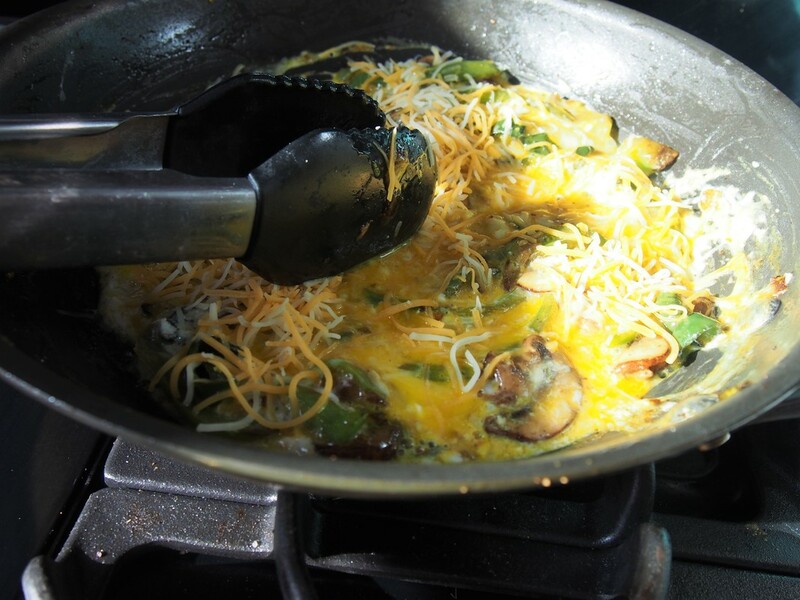 5.Heat a cast iron skillet, griddle or 12-inch skillet over med-high heat. The pan should be fairly hot before you begin cooking the tortillas. 6.On a lightly floured board or counter top, use a rolling pin to turn each ball into a 8 to 10 inch flat circle (measure against your recipe if printed on a 8.5X11 sheet of paper). Be careful not to use more than a teaspoon or two of flour when rolling out each ball into a tortilla because too much excess flour will burn in the pan. 7.Grease the pan with a touch of oil and then carefully transfer each tortilla, one at a time, to the pan and cook until puffy and slightly brown, about 30 to 45 seconds per side. Set aside on a plate to cool slightly. Eat within an hour, refrigerate or freeze. The tortilla part of this dish, is probably the most time consuming, but it is totally worth it + really not that difficult! We make them and save them in the fridge for the next 2-3 days, heat up in the microwave and eat them with nut butter and banana. This is our Meal Prep Sunday meal, so we can have the tortillas for the rest of the week! 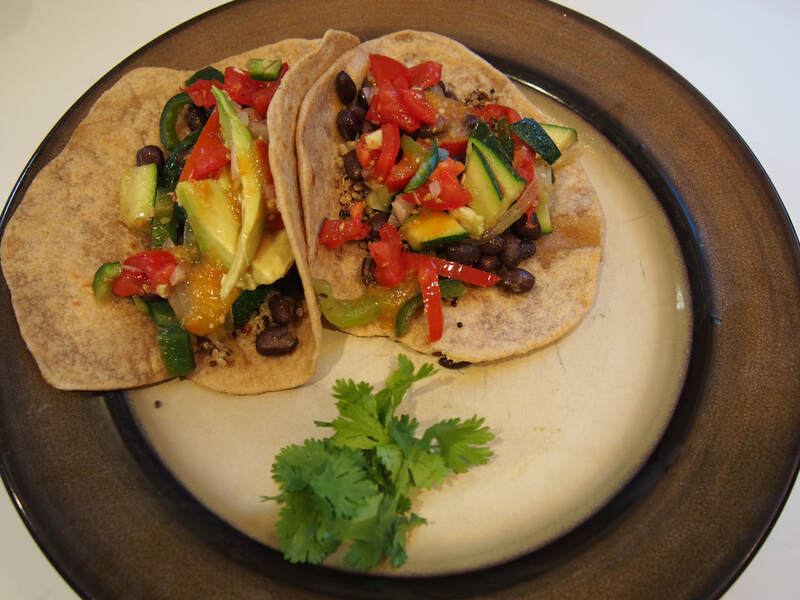 But YOU can definitely make these tacos with a premade whole wheat tortilla, just read the labels. (Most premade tortillas use animal products (lard)- so you want the 1st ingredient to be “whole wheat flour” and no animal products. 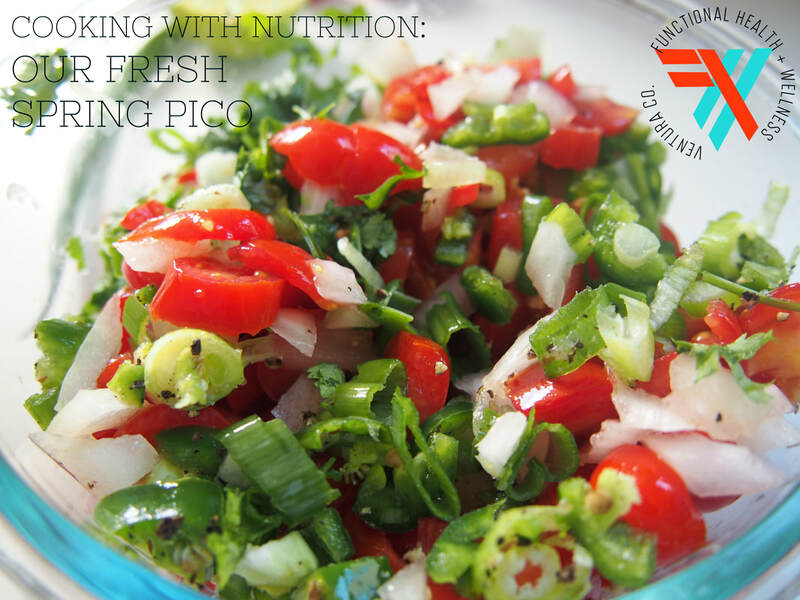 Pico De Gallo, The perfect pico de gallo is equal parts raw yellow or sweet onion, roma tomato and jalapeno, with fresh cilantro, salt and pepper and lime juice. But the best part of cooking is being able to substitute, add, subtract anything you can think of! 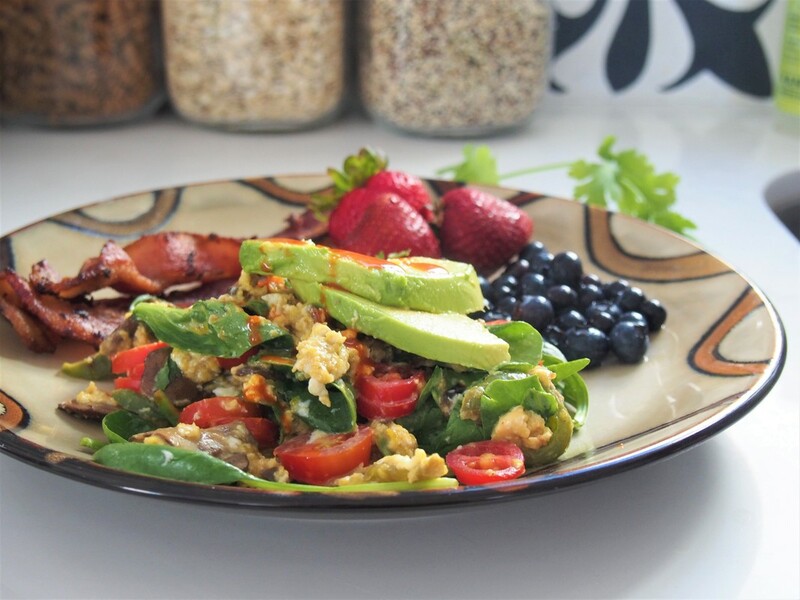 Make it how you like it- I love to add a little red bell pepper. Cooking the veggies: In about 1 TB olive oil Sautee onions and bell peppers 1st- for 5-10 minutes until browned and delicious, add mushrooms next- roughly 5 more minutes before adding the zuchs, add in taco seasoning (we make our own, cumin, chili powder, garlic powder, paprika and salt and pepper) simmer all together for another 3-5 minutes then. Assemble in your tortilla and enjoy! 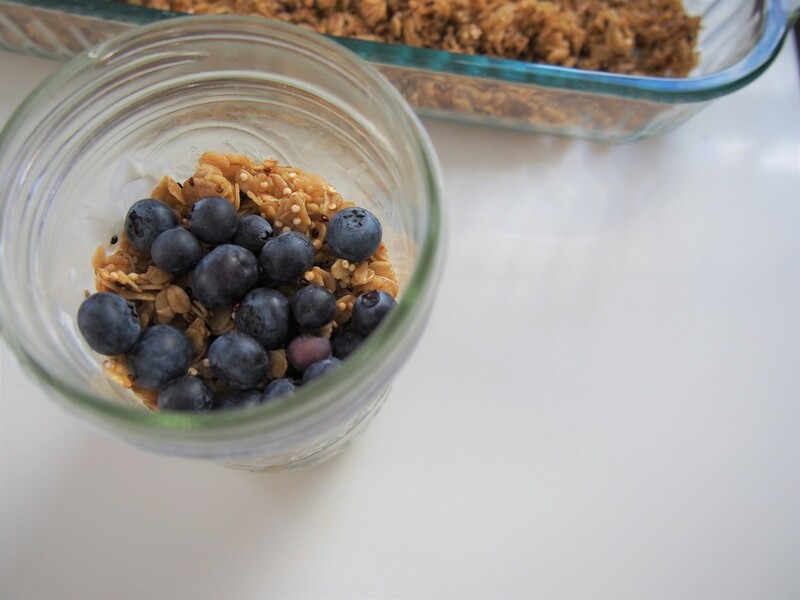 this yummy breakfast or snack is full of protein from the quinoa, sweetened from our favorite natural sweeteners honey and maple syrup, and filling from it's ample source of whole grains. we hope you love it as much as we do! puff your quinoa- in a medium size pot with lid. head pan to medium heat, add in 1/2 cup of dry quinoa, allow about 2 minutes for the quinoa to heat up- you might start to hear slight popping (like pop corn- but much quieter). add lid. carefully, lift pan with lid, tossing the quinoa in the pan. cook for about a total of 8 minutes, allow heat to pop and occasionally toss/stir/swirl the grain to keep it from burning. ​the visual result of puffing the quinoa will not be as obvious as popcorn. After 8 minutes of puffing. put on a sheet pan, dry, in the oven at 225 degrees for roughly 15 minutes. Consistency of the dry grain will now be much more edible, slightly crunchy but mostly puffy. now you can use this for cereal/granola/krispy treats. 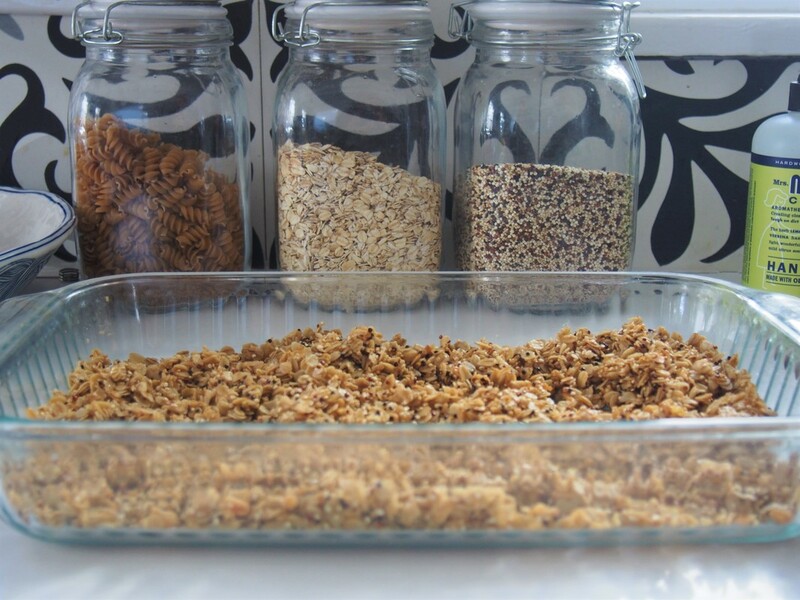 our use- yummy protein/healthy fat packed granola! combine all dry ingredients in large bowl. stir together. 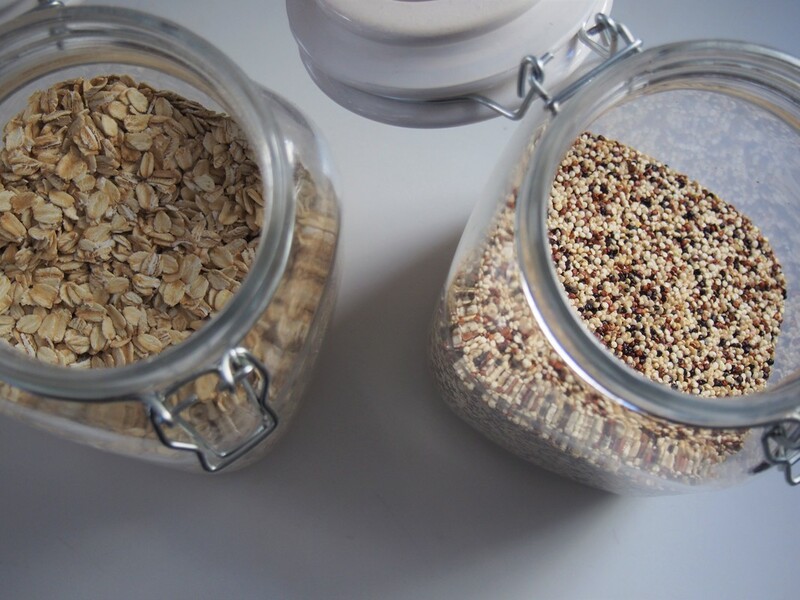 add in wet ingredients, stir until all the oats and quinoa are wet and coated. bake on sheet pan in 300 degree oven for 10 minutes. 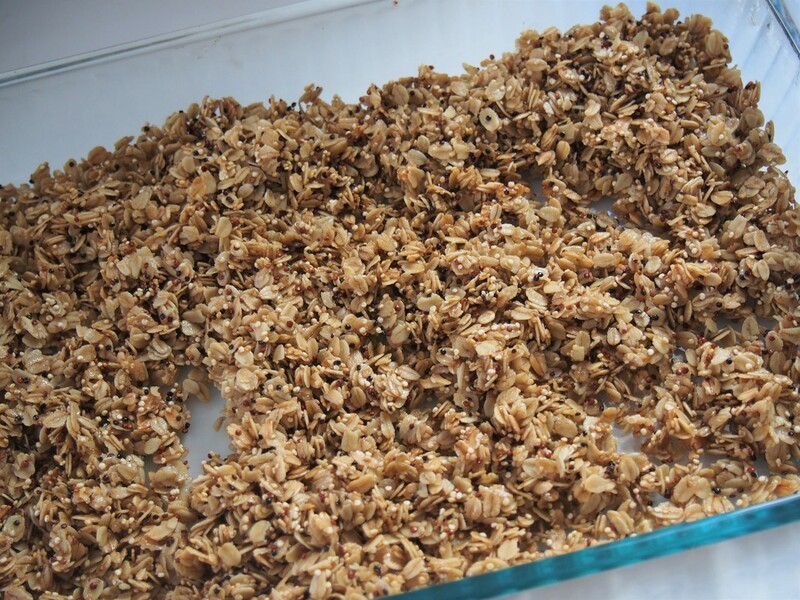 place on cool- large dish to cool into lovely clusters and harden into the perfect granola! 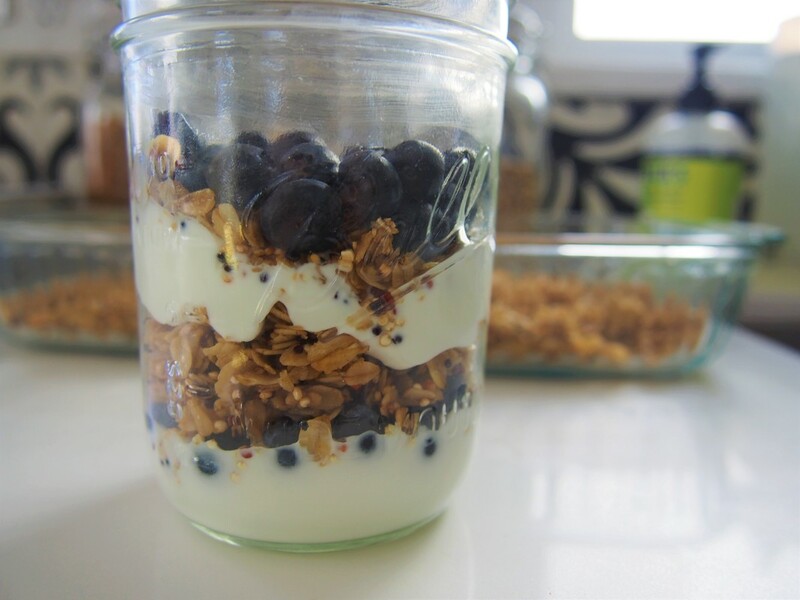 enjoy in a yogurt PARFAIT (pictured) or with a glass of milk or make your own acai or green smoothie bowls. should make roughly 4 cups of granola. enjoy in 1/3 cup portions. 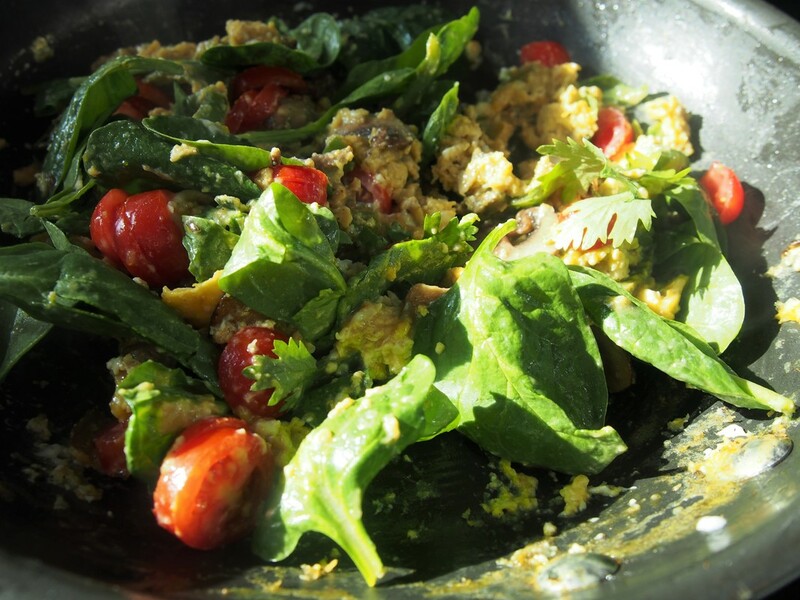 it's pretty hard to make a photograph of eggs- look good, especially a scramble. but i think somehow we have accomplished a pretty looking egg dish. not only is this a delicious breakfast (easy enough for the week day crunch morning but upscale enough for your weekend brunch with friends.) 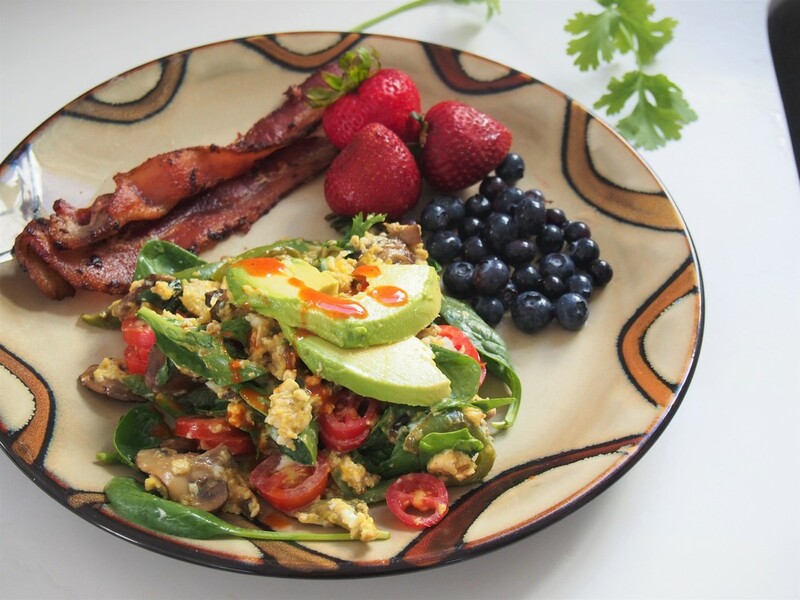 this breakfast is as nutritious as it is yummy. and we are so excited to share it with you. 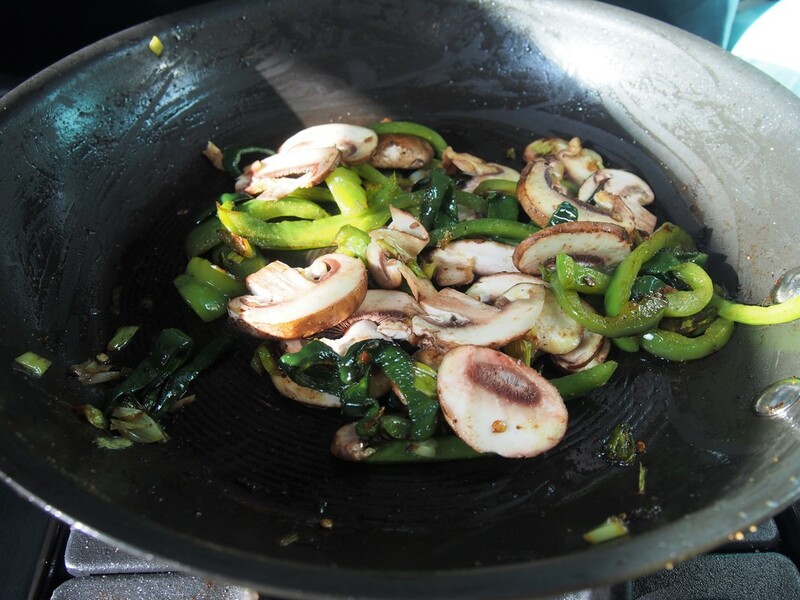 in large SAUTE pan combine chopped peppers, green onion, olive oil, seasonings. saute for 5 minutes before adding in the mushrooms. allow to brown and soften just slightly, roughly another 5 minutes. 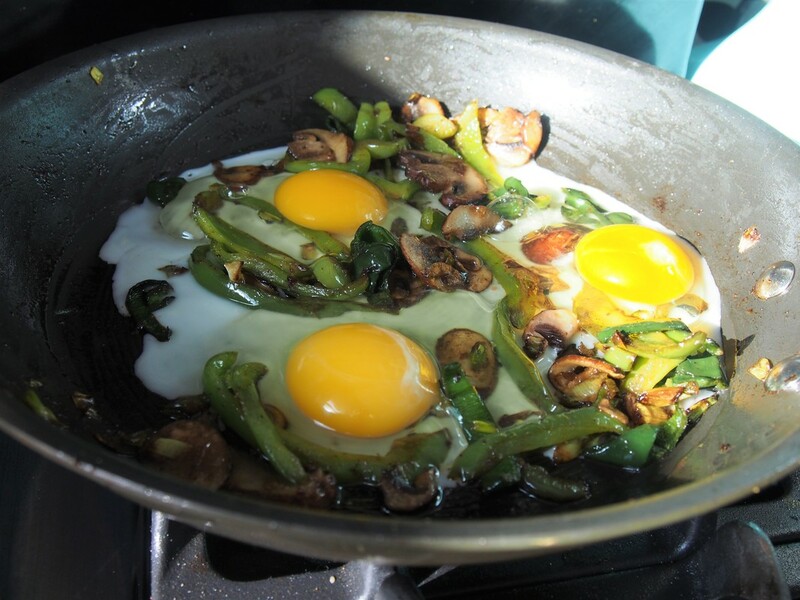 cook to desired egg cook> we like our eggs a little runny. not rubbery. 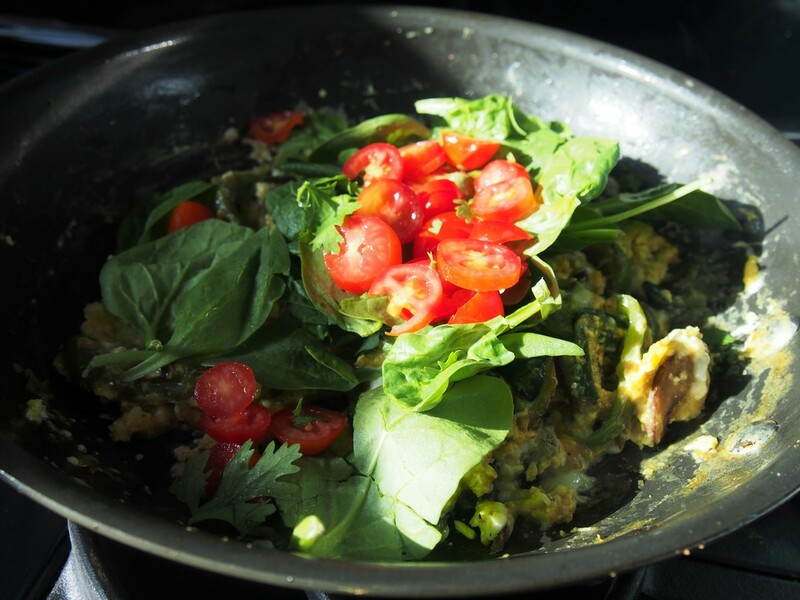 toss together to let hot eggs just slightly wilt the spinach. keep fresh, tastes so much better when less cooked. drizzle with tapatio or your favorite hot sauce. enjoy with your favorite brunchtime meat and fresh fruit. like all of our recipes- you can substitute any of your favorite veggies, always! We RECOMMEND you try it our way because it's awesome. but add in your favorites or what you have fresh access too. 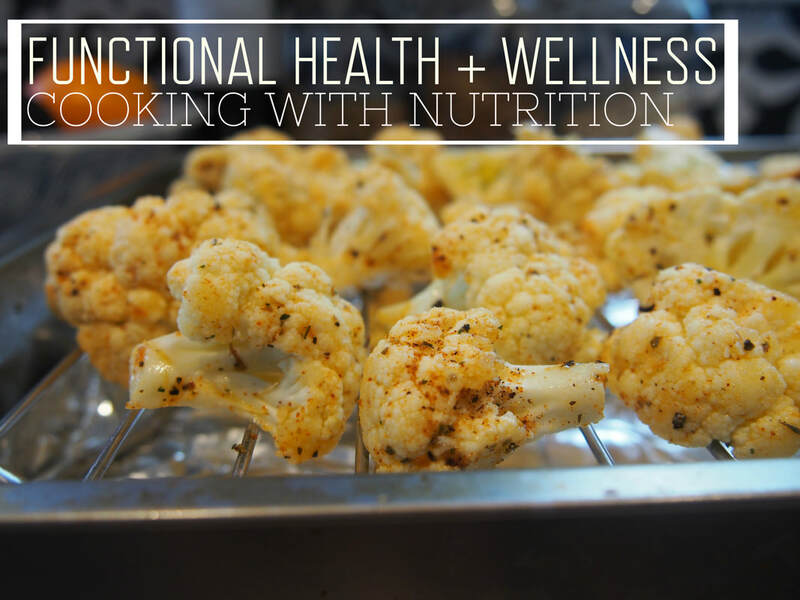 TAKE ME TO MORE HEALTHY RECIPES LIKE THIS ONE! 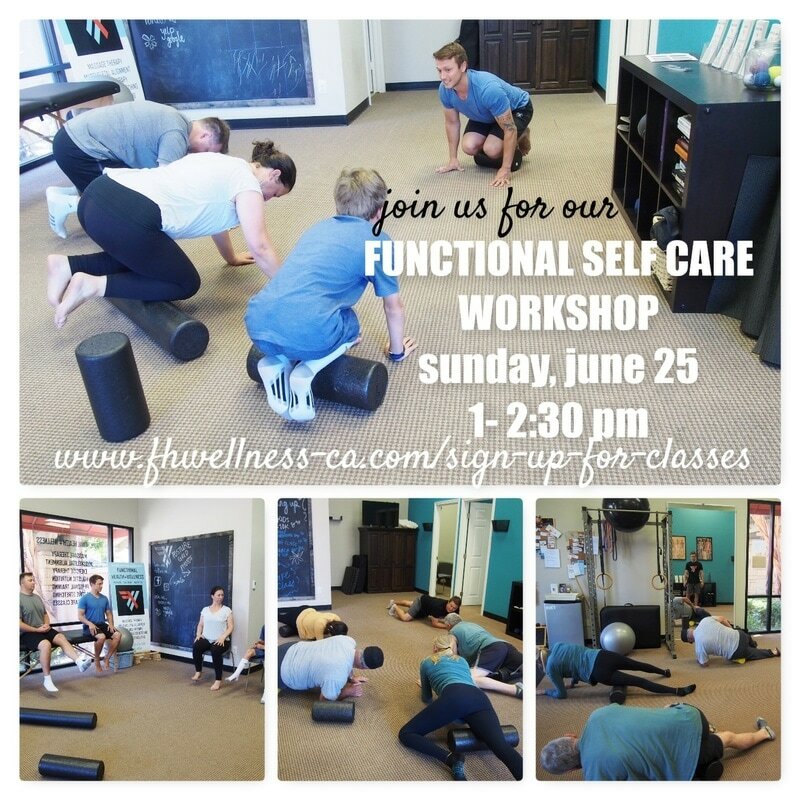 ​JOIN US FOR THIS 90 MINUTE INTERACTIVE CLASS ON SELF CARE TECHNIQUES YOU CAN DO EVERYDAY TO IMPROVE POSTURE, PERFORMANCE AND ELIMINATE PAIN. 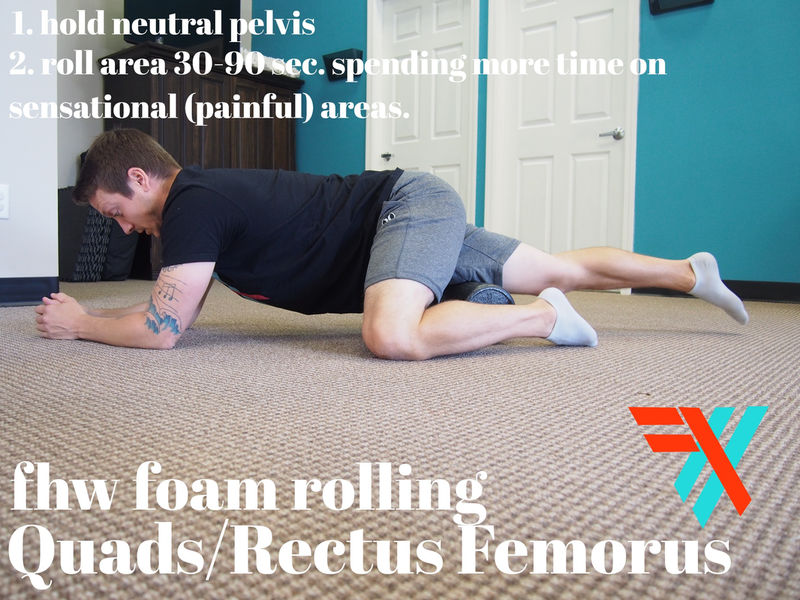 FOAM ROLLING, STRETCHING, SELF TRACTION EXERCISES AND DECOMPRESSION BREATHING TECHNIQUES. OPEN TO THE PUBLIC. ALL LEVELS WELCOME! ​CLICK THE LINK BELOW TO LEARN MORE AND RSVP! ​if you do- this self care exercise is a great one to get your started on your path to pain free, functional movement everyday. starting position: lying on your back with legs and feet together. bend knees. ​2. 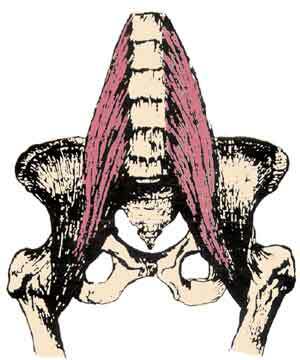 lightly squeeze your legs together and elevate your pelvis. ​3. once elevated into bridge position, pull your feet toward your body. creating traction and decompression of the spine. hold up to 5 sec. or until perfect form is compromised. ​for more tips and tricks check out our website, self care guide and stay tuned for our self care online membership! coming late summer 2017. 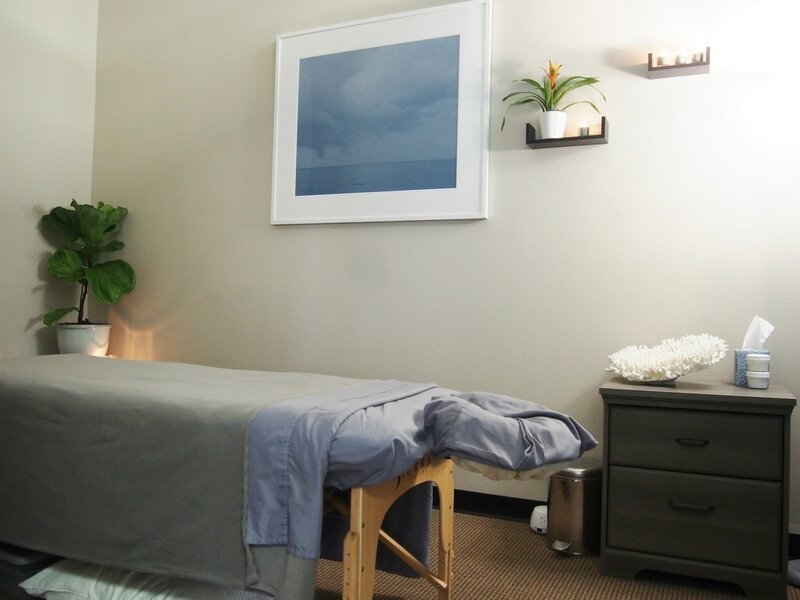 ​sign up for our self care classes every month at our facility in camarillo ca.